The first step in making these easy homemade bird toys is to assemble all of the necessary materials. Use between 30 and 45 drops of food coloring per 1/2 cup of water to make sure that the colors show up on the carboard tube. Once your work space is clear and covered with newspaper, you should begin to prepare the dye that you will use to color the cardboard.Start by adding 1/2 cup of water to each of the four containers. Then, in each one, place 30 - 45 drops of food coloring, so that the dye is very dark.Since cardboard is brown rather than white, the dye must be very dark so that it will show up once the tube is dry. The different colors on the cardboard will be attractive to your bird. After the colors are mixed, use a paintbrush to paint the dye onto the cardboard tube.Make sure to use a new, clean paintbrush. Brushes that have been used before can harbor remnants of potentially toxic paints, which could make your bird sick if he ingests them.Use a basting motion to transfer the dye to the tube, and be sure to completely saturate the cardboard with color to get a bright result once it is dry.Don't worry if the colors mix or run together. This can create a neat tie-dyed effect that many birds enjoy! Once the tube has been painted, stand it upright on a paper towel or piece of newspaper to dry overnight. Make sure to stand the tube on the end that has darker colors, as the dye will probably drip down a bit during the drying process. When you are done coloring the tubes, place them upright in a safe place to dry overnight.Make sure that the tubes are completely dry before attempting to cut them. The wet tubes are very flimsy and fragile and could fall apart if not allowed to dry thoroughly.If you can't wait to surprise your bird, it is possible to speed up the drying process by using a hairdryer on a low setting. Make sure to work over the newspaper when doing this, as the force from the dryer sometimes sends droplets of dye flying! Use scissors to cut out spirals, rings, or other shapes that you think your bird will enjoy. After the tube is dry, use scissors to cut spirals, rings, and other shapes out of the cardboard.Don't be afraid to get creative with this project. There are endless modifications you can make to these toys with items that are laying around the house. For example, if you have some twine on hand, try stringing together a few cardboard rings to make a chain. If you have a few large buttons, attach them to a ring of cardboard to make an interesting plaything for your bird.When cutting the shapes, rings and spirals out of the tube, make sure to discard the parts of the tube that have rings of glue on them, so your bird does not end up eating it! Although most of the glue washes off in the painting process, the amount that remains could be toxic if ingested. Please remember to cut these parts of the tube out and not offer them to your bird. Try threading spirals of colored cardboard through the bars of your bird's cage to create an interesting puzzle. When you have cut the tubes into shapes that you like, give the toys to your bird. Some birds may be apprehensive of the new objects at first -- if this happens, simply place the toys near his cage until he is sure that they pose no threat. Remember that these toys are meant to be short-term, disposable entertainment for your bird. Never leave them in your bird's cage for more than 24 hours. There is a chance that bacteria could grow on the cardboard, which could lead to health problems for your pet. Keep playtime safe by removing these toys after a day's worth of fun. There are no right or wrong ways to go about completing this project, as long as you and your bird enjoy yourselves. Be creative, and try different techniques. You may be surprised to find that your bird prefers your homemade creations to store bought toys. Have fun! 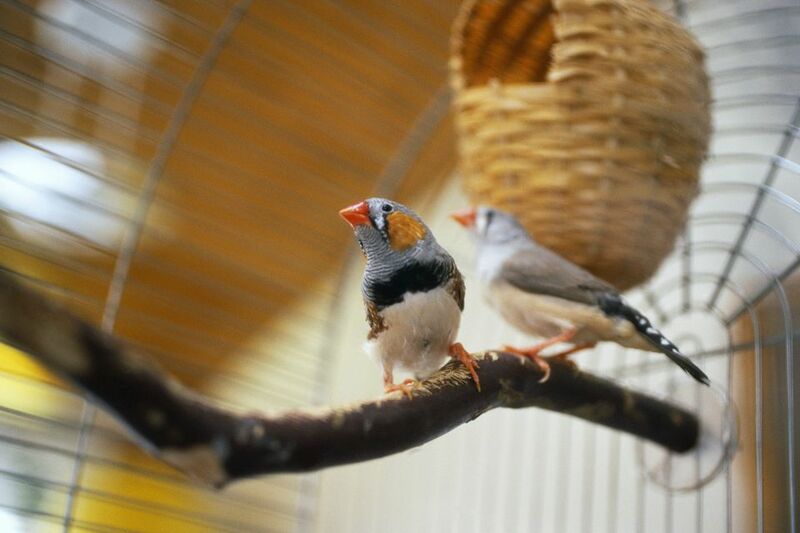 What Size Cage Does Your Pet Bird Need? It's Not a "Cage." It's Her Home.